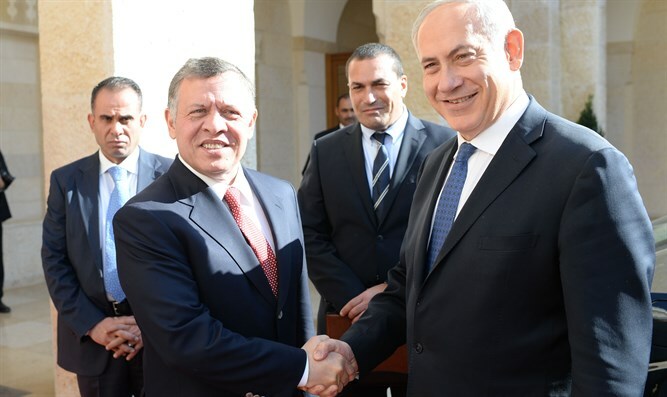 Israeli, Jordanian leaders meet in Amman, discuss economic ties. Prime Minister Binyamin Netanyahu and King Abdullah II of Jordan met today in Amman, Jordan. The Prime Minister and the King discussed developments in the region, the advancement of the peace process and the promotion of economic relations between the two countries. Prime Minister Netanyahu reiterated Israel's commitment to preserving the status quo at Jerusalem's holy sites.